When the sun descends into the horizon on a warm summer evening, there’s nothing like continuing your evening than by the glow of the perfect outdoor light. Lighting – either indoors or out – can be a powerful creator of ambiance. Whether it’s the flicker of the flame of an outdoor fire, the soft landscape lighting from which your trees take center stage or simply a pathway light, illumination comes in many forms to highlight, showcase, or soothe your outdoor experience. 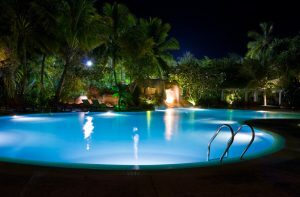 When you are ready to add lighting to the yard around your home, you want something that will look nice and fit in with current outdoor lighting trends. Check out a few of these ideas to save money and illuminate your property in just the right way. These beautifully crafted hanging lanterns from Cottage & Bungalow offer warm, subtle lighting for an intimate outdoor gathering. Turn these lanterns on and let their glow help keep the party going long after the sun goes down. Choose just a few for a particular spot on your deck to create a quiet place to kick back and unwind. 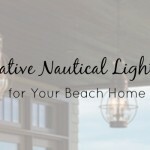 The traditional nautical styling of these lanterns makes them the perfect addition to any beach home. 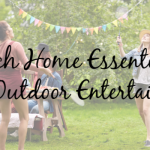 Outdoor lighting is taken to new heights in recent years with durable and sturdy string lights. These lights are suited for gardens and outdoor living areas to bring light to the property along with a sense of whimsical style. String these types of lights in the trees, along any fencing, or free hang between structures. 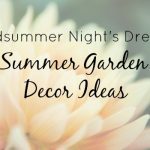 If you want to give yourself better visibility around the patio at night, consider wall lights that can be painted the same color as your siding. This outdoor lighting trend blends in during the day but highlights the nearby paths and landscaping at night. Solar lighting is a huge outdoor lighting trend wherever you place it. Consider replacing any old lights with solar items so you don’t have to worry about wiring, trick installation, or burnouts. These lights are considered accents or just decorative since they don’t produce a lot of illumination. If you have garden paths or deck steps, LED lights that are in short tubes are outdoor lighting trends right now. They are a great safety feature and are made from heavy-duty plastic which makes them sturdy and durable and weather resistant. 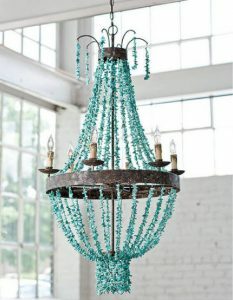 When you are thinking about the lighting solutions for your deck, why not consider a coastal chandelier? Outdoor chandeliers have been making the wedding rounds for years now, and we happen to think they can be a gorgeous permanent addition to any covered deck. 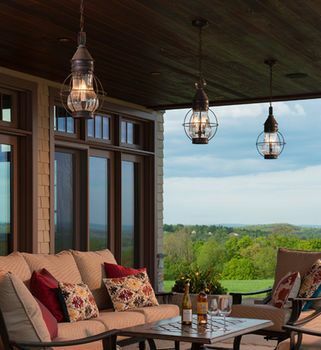 More floor lamps are being used on decks and patios today than in the past. They are portable and can turn a deck or patio into an outdoor living room where you can enjoy guests or even read at night. 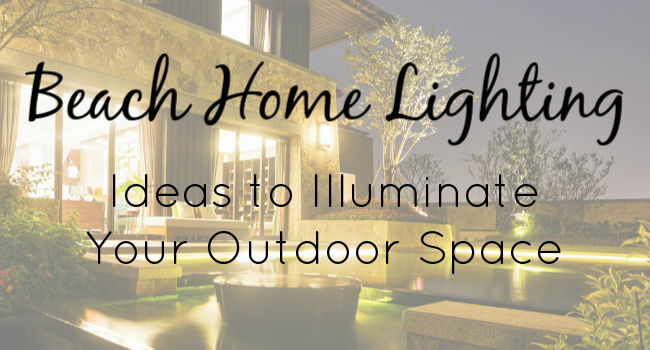 These are just a few of the outdoor trends you can use to place lighting in all the right spots on your property. Mix and match the various options to get the lighting just right.